Thomas Golf developed the AT-725 Hybrid Driver to be as easy to hit as your favorite hybrid, without sacrificing distance off the tee. 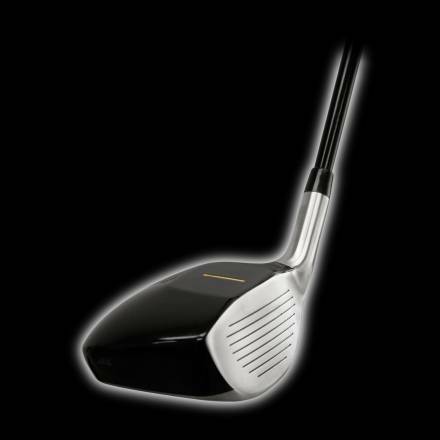 It's often refered to as a Mini-Driver, with the design characteristics of a hybrid, this unique, square-shaped club marks a bold step forward in equipment technology and playability. Thomas Golf’s patented alignment guide makes it easy to aim the clubface precisely at your target on each and every shot. The square clubhead further aids visual alignment of the feet, hips and shoulders. 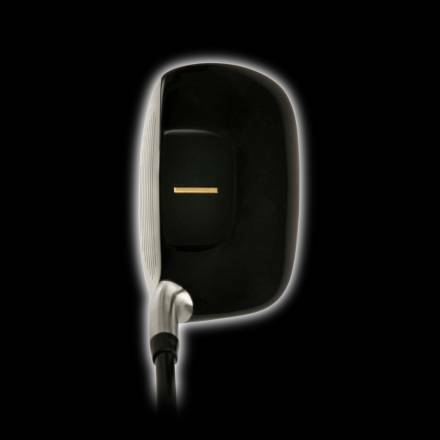 The AT-725 Hybrid Driver is equipped with a shorter shaft than conventional drivers, greatly aiding control and reducing the margin of your mis-hits. Graphite-shafted models feature a standard length of 43.5” (vs. 45.25” for most drivers); steel shafts are 42.5” (vs. 44.5” for other steel-shafted drivers). With a lower center of gravity (COG) than conventional drivers, the AT 725 delivers higher ball flight for extra carry distance off the tee. Unless you’re a pro, today’s 460cc drivers are nearly impossible to hit from the fairway. The head of the AT 725 Hybrid Driver measures just 230cc – half the size of the largest models – which makes a big difference when setting up to hit a ball off the ground. What’s more, the shorter shaft promotes a compact, in-control swing, while the AT 725 Hybrid Driver’s wide sole – like that of a fairway wood – helps you sweep the ball from a good lie. 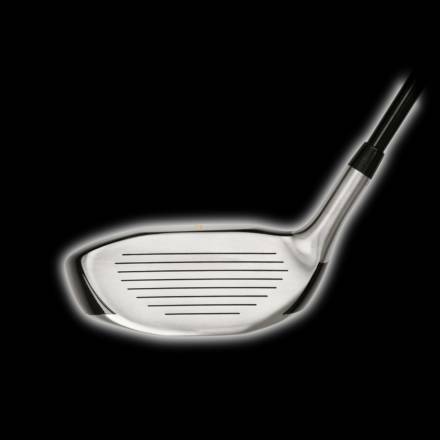 The club’s low COG and 10.5° loft will send shots airborne with no special swing adjustments. Like all Thomas Golf drivers, fairway woods and hybrids, the AT 725 Hybrid Driver features advanced top-plane technology. 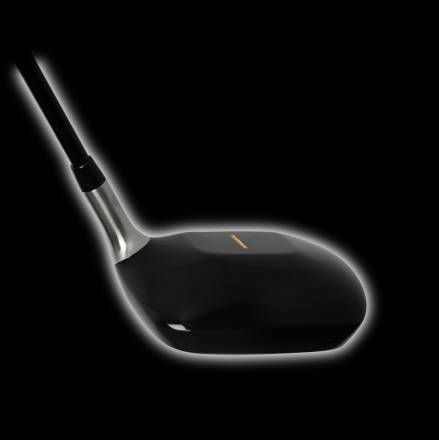 The level crown lowers the COG to directly align the sweet spot of the club with the sweet spot of the ball at setup – greatly boosting your chances of hitting it flush, generating maximum distance and optimum spin. 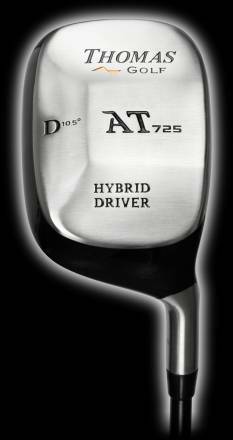 The Thomas Golf AT 725 Hybrid Driver delivers incredible distance, accuracy, forgiveness, trajectory, sound and feel. It takes driver playability to a whole new level.